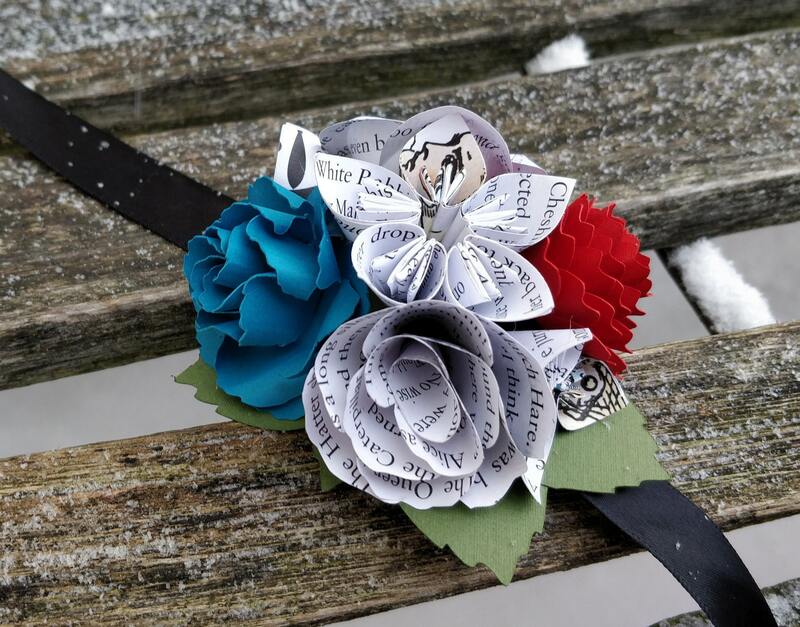 Alice In Wonderland Corsage. CHOOSE YOUR COLORS. Wrist or Pin-On. Weddings, Prom, Bridesmaid, Flower Girl, Homecoming, Etc. 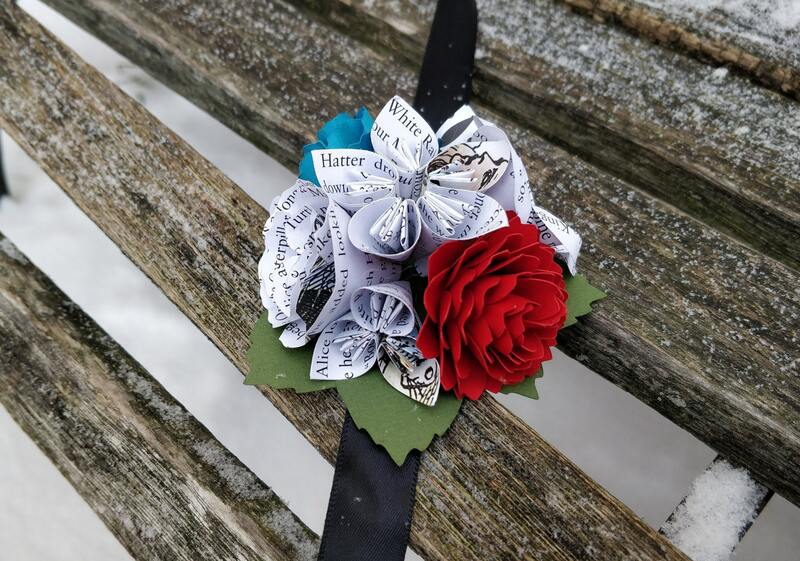 This listing is for Alice In Wonderland corsages, in the amount and colors of your choice! 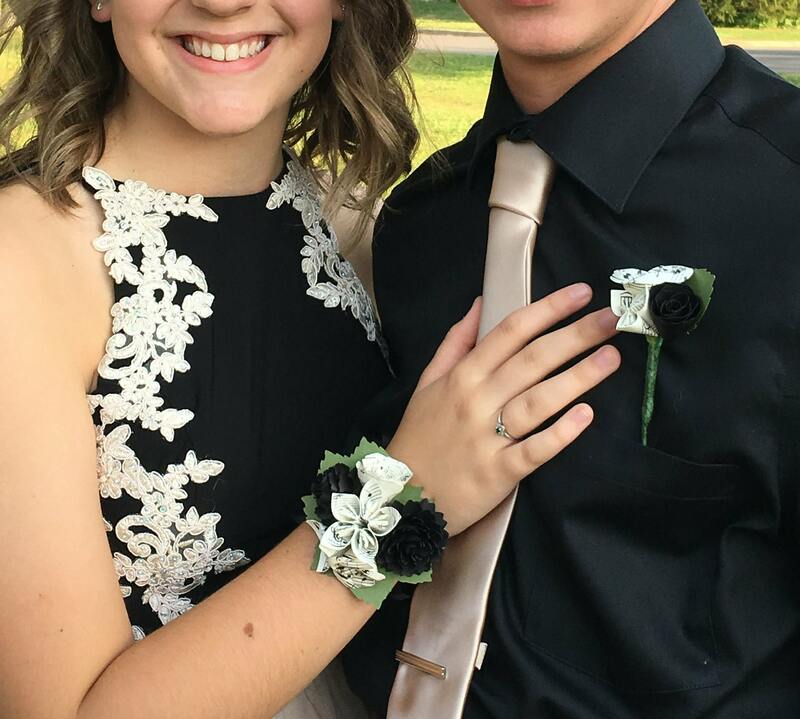 You can pick a pin-on corsage or a wrist corsage, or a mix. These are great for weddings, proms, homecoming dances, etc. 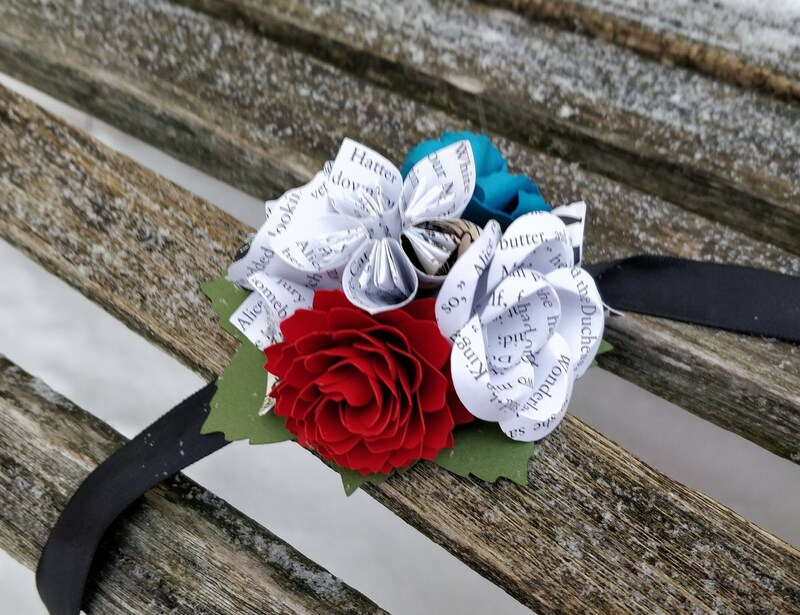 ---> Select the number of corsages you need from the drop-down menu on the right. ---> Please leave me a note at checkout with the colors you want. There is a message box in your cart for this purpose. 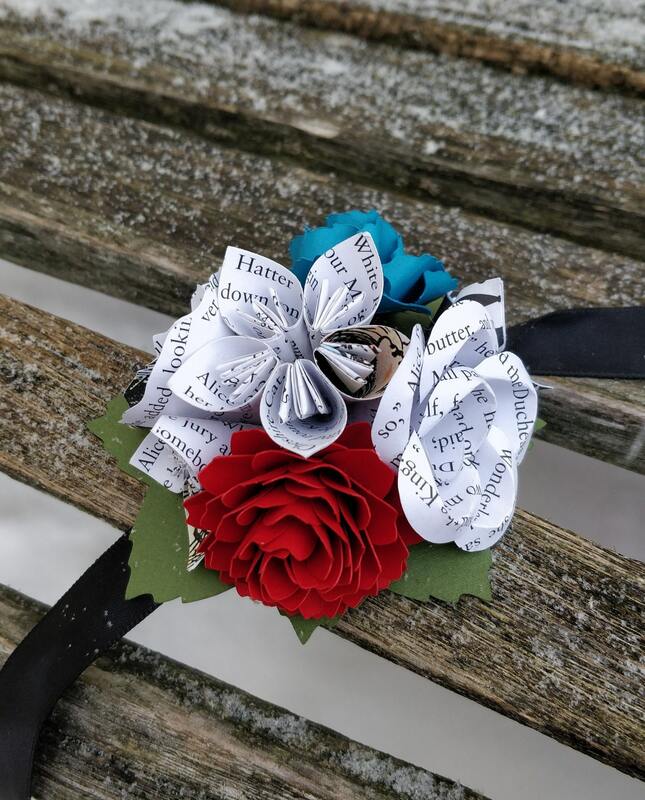 ----> If you want wrist corsages please let me know what ribbon color you want. I can also do matching boutonnieres. And I can do do whole wedding parties. 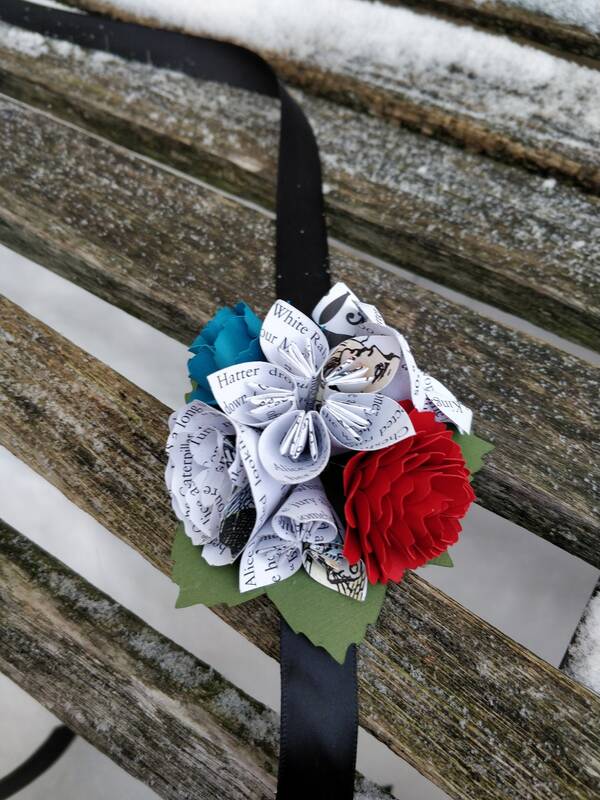 Please look under the Boutonniere/Corsage section of my store for more.